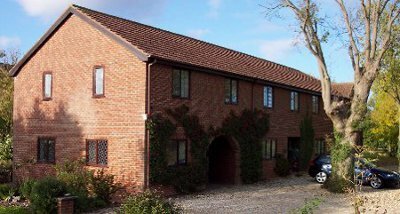 Ash Tree Cottages are a small complex of unique holiday cottages set in the Lincolnshire countryside, and only 2 miles away from the family friendly seaside resort of Skegness. We decided to go for Ash Cottage so the children could have a bedroom each. Ash Cottage has plenty of space to spread out in - downstairs you'll find the lounge, kitchen and one of twin bedded bedrooms, complete with as en suite bathroom. Upstairs are the two other bedrooms - one with a double bed, and one with twin beds. There is also a family bathroom to be found. The pool was soon located next to the owner's property - and it didn't disappoint. Walking into the building was like stepping into a small Mediterranean country - only in the Lincolnshire countryside. The room is kept nice and hot at about 34°C. With the water being around 31°C - you would struggle to get cold in those temperatures. The pool is a magnificent 30 metres long by 15 meters wide; and a constant depth of 130cm. As there are only a few cottages with access to the pool, we always had the entire swimming pool to ourselves; which felt like having our own private swimming pool. One thing to watch though - there are no changing rooms in the pool area. So make sure you bring some suitable gear to get from your accommodation to the swimming pool. It only takes about 1 minute to amble there, so robes and a pair of Crocs should suffice. These cottages are set in a peaceful countryside location - so if a drop of peace and quiet is your bag, you won't be disappointed. Skegness is only 2 miles down the road, so all your family entertainment is catered for too. The combination of tranquil setting, private pool, and distance for the Skegness, make Ash Tree Cottages a perfect destination for a family short break. Should Ash Cottage not be to your liking, but you fancy staying in the area around Skegness, you might well be interested in the cottages below. All these cottages are within a few miles of Ash Cottage.